SGK helps you bring your business online to the widest possible audience. 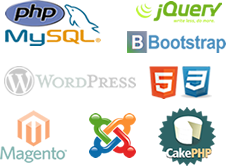 Our team of developers can create an ecommerce website that caters to your specific business needs. We will help you consider all options, from a customized shopping cart to a proprietary cart. Through our team, you are equipped with the necessary information on features and limitations of all options so you can choose what is right for you. Employing effective techniques that have brought our clients thousands of secure transactions, we'll build a site that attracts customers, engages them and encourages sales. We then give you the tools to maintain your site, securely and reliably, so that it becomes a cornerstone of your business. Through SGK Media, you will benefit from our tested marketing strategies that will ensure your site will attract new customers, convert visits to sales, and bring in repeat visitors.